The popular arcade fighter comes to the SNES. 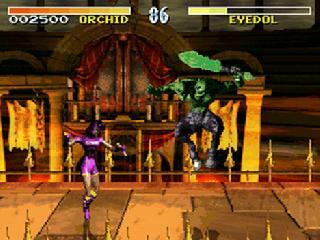 Play as a variety of warriors as you fight your way to the demon known as Eyedol. Use an original combo system to decimate foes. 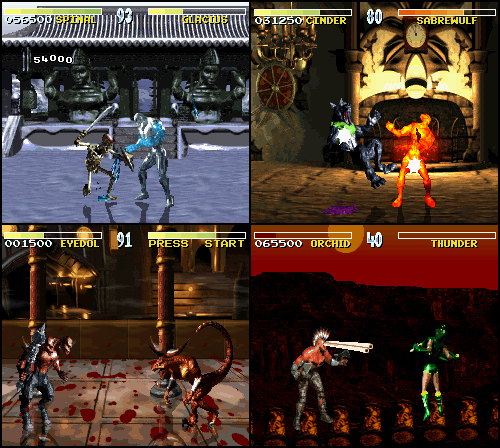 Once they are defeated, you can finish them in the goriest way possible. Enjoy. This is one of the classics that most would have glanced at on the Super Nintendo. 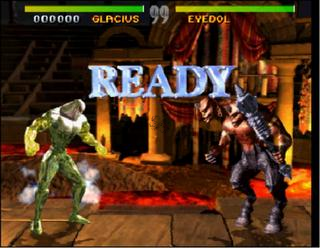 Killer Instinct is a high-paced, fun filled fighting game with some amazing visuals for its day. This game is known for a few facets. You could now string combos and counters into what was once a one-two punch only style. Hence, making games faster, more enjoyable to see and play. The characters are memorable. The game play is nice. Also, the music is so fantastic, there are CDs floating around as a testament to how well the BGM sounded. And this was all brought to your screen by the Powerhouse of the 90's Rareware. The first of the series, but not in the least less enjoyable than its future installments. Now you can add videos, screenshots, or other images (cover scans, disc scans, etc.) 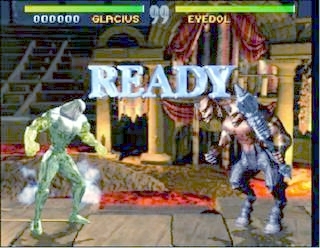 for Killer Instinct (USA) (Rev A) to Emuparadise. Do it now!